CupcakeCamp Boston would not have happened without you and I hope that you will all be a part of CupcakeCamp Boston 2011. The CupcakeCamp raffle winners have been drawn! Congrats to Ashley M., Becky M., Lanni I., Susan P., Kathy C., David G., Elena M., and Maryanne M. A special thank you to Mix Bakery, Couture Cupcakes, Sweet, Treat Cupcake Bar, Cherry Bomb Bakery, Party Favors for donating gift certificates to the raffle, and to Johnny Cupcakes for donating T shirts. Congrats again to the winners. Proceeds from the raffle will be donated to CitySprouts, a non-profit organization that develops and maintains school gardens in Cambridge. Read more about them here. This post is dedicated to the amazing bakers without whom CupcakeCamp Boston would not have happened. An enormous thank you to Kelly Paszamant of Mix Bakery, Michele Moore of Couture Cupcakes, Eric Bertelsen of Sin Cupcakes, Amy Humphrey of Cupcake Fetish, Adie Sprague of Treat, Kerri Delaney of Babycakes, Colin Cunningham of Cherry Bomb Bakery, Deb Flanagan of Sugar Bakery, Renee McLeod of Petsi Pies, Nick Peruzzi of Sweet, Mary Lynn and John of Party Favors, Charles of Fiore's, George Montilio of Montilio's, Liz O'Neil of Sadie's, and John Milone of Fratelli's. Below is a list of the bakeries and businesses that you sampled last night, along with their websites, should you want to contact them and try more of their cupcakes! And a few pictures of some of the fantastic bakers who made it out to CupcakeCamp. CupcakeCamp Boston - A Success! 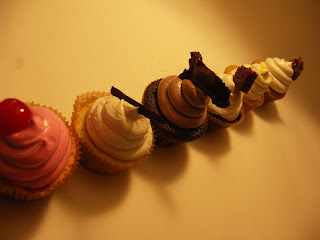 CupcakeCamp Boston took place last night and it was a huge success!! The line of cupcake eaters started forming well before 7pm, and stretched down the block. Luckily everyone got in and there were plenty of cupcakes to go around. Thank you to everyone who brought cupcakes to share and everyone who came to enjoy the cupcakes! 470 cupcake eaters and approximately 3,000 cupcakes! We hope you enjoyed CupcakeCamp. It was nothing short of a pleasure to put this event together and see all the happy and satisfied attendants. We look forward to planning the next CupcakeCamp Boston. I received a lot of comments last night along the lines of "This is amazing, will it happen again?!" and "Wow, this should happen every week!" The truth is, CupcakeCamp happens because of the enthusiasm and generosity of all the participants. As long as you guys keep wanting to share your cupcakes and celebrate them, CupcakeCamps will keep happening. Be sure to check out the flickr pool and add any photos that you took last night. Below are a few, courtesy of Michael Ginsburg. View the rest here (soon to be added to the pool). 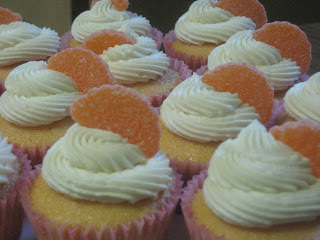 Become a fan of CupcakeCamp Boston on Facebook to get updates about future CupcakeCamp events. Once again, thank you to everyone who came out last night. Coming up tomorrow: raffle winners, thank yous and shout outs to all of the phenomenal bakers. CupcakeCamp Boston in the Globe!!! In case you missed it, CupcakeCamp Boston was in the Boston Globe today!!! What’s small, crowd-pleasing, and frosted all over? A cupcake, of course. 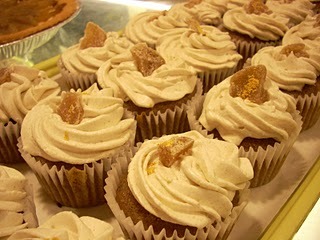 Get your fill of these sugary confections at CupcakeCamp tomorrow night at P.A.’s Lounge in Somerville. The informal gathering started in San Francisco in 2008, and has since spread to Montreal, Philadelphia, and even Adelaide, Australia. 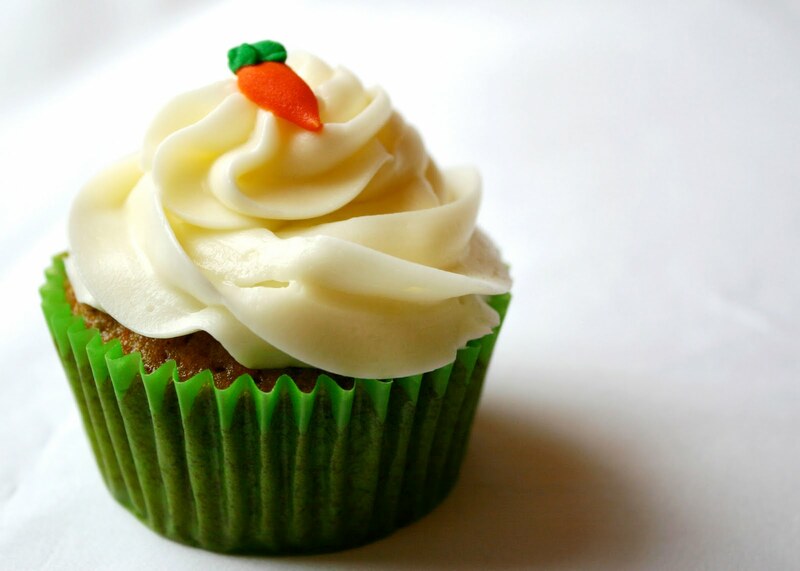 The CupcakeCamp concept is simple: Amateur and professional bakers make cupcakes to share, and attendees eat them. Elizabeth Ginsburg, 23, knew she had to organize one in Boston after nibbling her way through New York’s inaugural camp last spring. We chatted with the Porter Square resident and self-described foodie (she tweets @FreeFoodBoston) about the event and cream cheese frosting. Fratelli's Pastry Shop, with locations in Quincy and Weymouth, will be joining in the cupcake fun. Their tagline is "Our Family Bakes For Yours" and do they ever! Their desserts include cheesecakes, mini pastry, tortes, cookies, and more. Check out Fratelli's website and read their rave reviews on yelp. 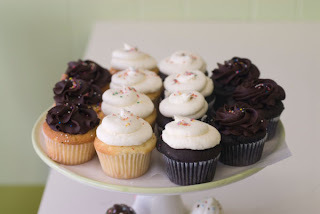 Fiore's Italian Bakery, located in Jamaica Plain just south of Boston, will be donating cupcakes to CupcakeCamp. Fiore's offers a wide array of baked goods, but they are particularly well known for their vegan selections, including cupcakes, scones and pizza. Read what people have to say about Fiore's here. Mix Bakery is a boutique bakery specializing in personal-sized treats. You can find owner Kelly Paszamant in her home studio in Boston’s South End baking custom orders--from crazy cannoli cupcakes to classic vanilla/vanilla (her personal favorite). 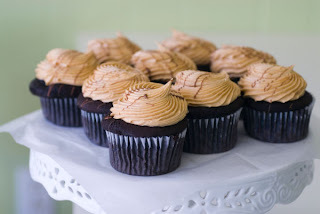 Mix will be bringing oh-so-tasty s’mores cupcakes to CupcakeCamp, but check out the pictures below for a few other treats in the Mix collection. Registration Extended! And a Raffle!! I have two pieces of news for all you CupcakeCampers. First, the deadline for cupcake registration has been extended!!! You now have until Monday, April 12th to register to bring cupcakes to CupcakeCamp Boston. Complete the registration for here. And more exciting news, we at CupcakeCamp Boston have to decided to host a raffle during the event. You can enter to win one of several gift certificates good for a dozen cupcakes at several local cupcake shops. I'll have more details for you soon, including the specific shops donating the gift certificates. See you all next Thursday!! 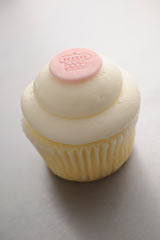 Couture Cupcakes is our latest addition to CupcakeCamp Boston. Couture Cupcakes is a boutique cupcakery operated by self-proclaimed "Cupcakeista" Michele Moore. 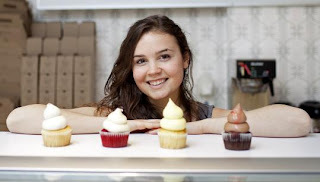 Michele started Couture Cupcakes in 2009 as a passion project to satisfy her friends' sweet tooth (and hers). Couture Cupcakes creates custom-ordered cupcakes ranging from Irish Car Bombs to the signature S'mores cupcakes and changes menu offerings seasonally. Michele will be bringing along her signature S'mores cupcake, along with Creamsicle and Banana Cream Pie cupcakes. You can learn more about Couture Cupcakes on their website or on their Facebook page. CupcakeCampers will get a sneak peak at one of Boston's newest cupcake shops. 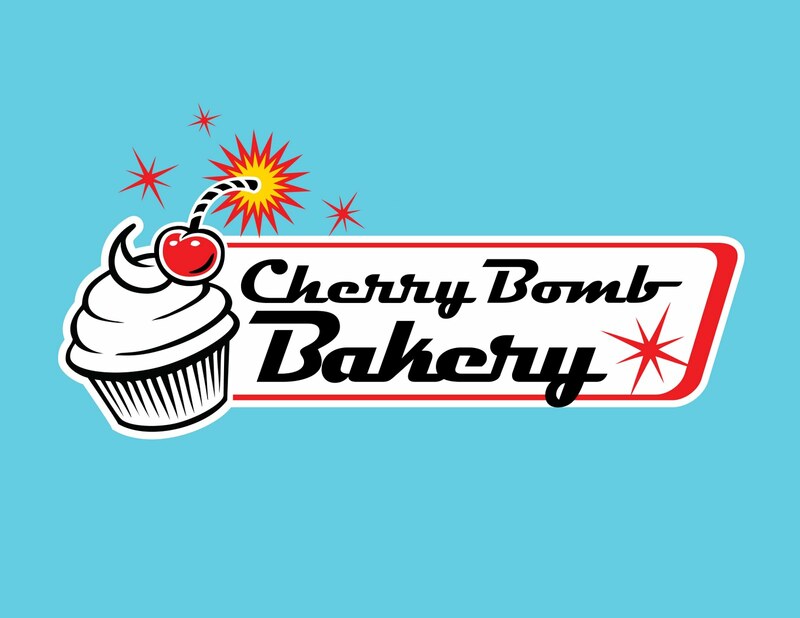 In late April, Cherry Bomb Bakery will be opening in Brighton Centre. With a 50s retro vibe, Cherry Bomb aims to offer large and small scale catering, and in house seating and eating in a fun and funky atmosphere complete with full coffee service. 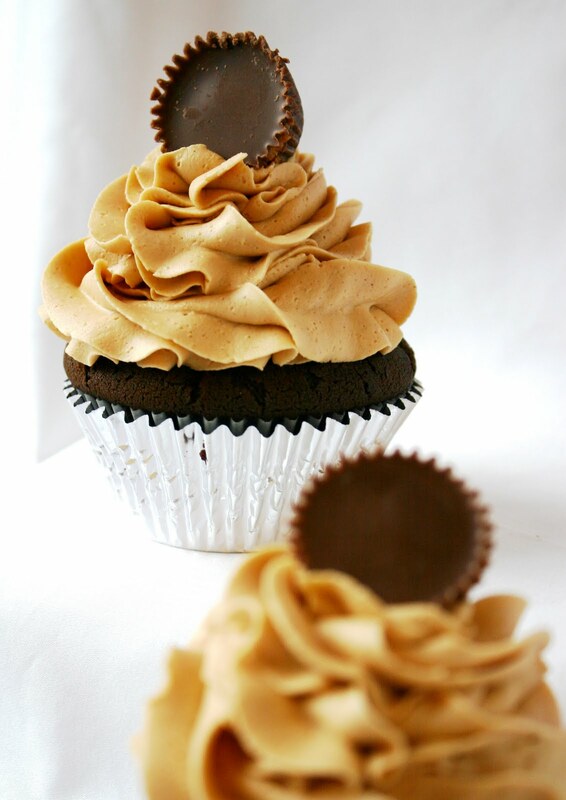 They hope to be 30-40 percent vegan and offer a vegan version of any cupcake on the menu. 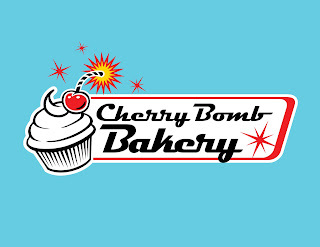 Cherry Bomb has a long list of inventive cupcake flavors that includes Ginger Bread Pudding, Piña Colada, S'mores, Toffee Carrot Cake, Pecan Sandie, Tiramisu, Canoli, and Pineapple Upside Down Cake. Read more about Cherry Bomb here. Sin Cupcakes, based in Malden, MA, bakes treats that are decadent and delicious, and avoids the "sweet and cute" image commonly found in cupcakes. Says owner Eric Bertelsen, "The history of my business goes back to when I was a kid baking with my grandmother. She had a way of creating amazing cakes without ever following a recipe or measuring the ingredients. She had a knack for baking, and I believe that you’ll find that I inherited her talent." CupcakeCampers will be happy to sample the Ultimate Sin (Red Velvet), the Aztec Demon (Chocolate with chili and cinnamon), and the Innocent Angel (white cake with buttercream frosting). Read more about Sin Cupcakes here. 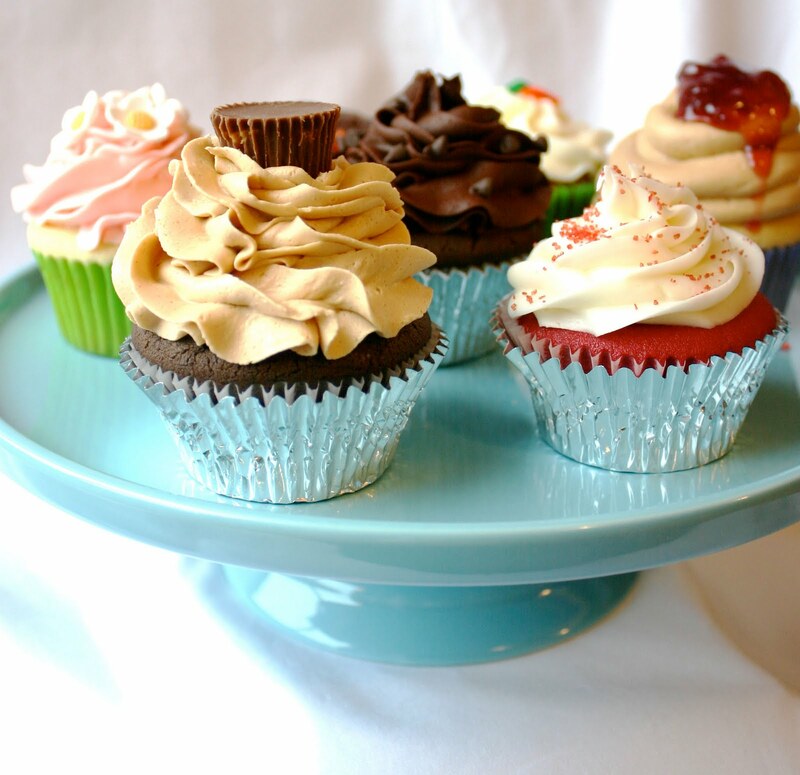 Babycakes bakery of Quincy, MA will be gracing CupcakeCamp Boston with a selection of their delectable cupcakes. CupcakeCampers will be able to sample their Vanilla Vanilla, Chocolate Chocolate, Snowball, and Chocolate Caramel cupcakes, among others. Owner Kerri Delaney opened the shop in 2007 and has been making Boston area sweet tooths happy ever since. Read more about Babycakes here. Sadie's Designer Cakes and Pastries, located on Hancock Street in Quincy, will be sending cupcakes to CupcakeCamp. Sadie's offers a wide assortment of pastries at their shop, in addition to elaborate custom made wedding cakes, and of course, cupcakes. Owner Liz O'Neil is happy to participate and says to everyone coming to CupcakeCamp, "Have fun!" Read more about Sadies here. Montilio's of Boston is coming to CupcakeCamp! Located in Quincy, the bakery was established in 1947 and specializes in French and Italian cakes and pastries as well as world-class wedding cakes. In the past 50 years, Montilio's has provided cake for several momentous occasions, including the inaugural balls of Presidents Kennedy, Reagan, and Bush. Montilio's was even served to Pope John Paul at the Vatican, and President Kennedy's wedding cake was baked by Ernest Montilio himself. Read more about the impressive history of Montilio's here. We are so happy to welcome George Montilio and the rest of the Montilio's team. Sweet is coming to CupcakeCamp! 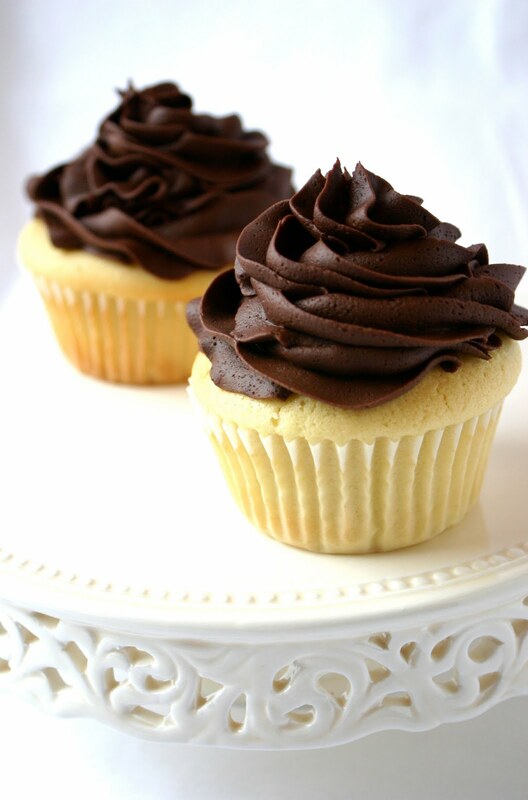 Sweet cupcakes are baked fresh each morning with the finest quality ingredients. Awarded Boston's Best Cupcakes in 2009 by the Improper Bostonian, Sweet welcomes cupcake enthusiasts to taste their carefully handcrafted delights in a wide variety of flavors - including daily favorites and seasonally-inspired creations, Sweet often serves up more than 15 flavors at both locations, Boston's Back Bay and the heart of Harvard Square. Cupcake Campers will be able to sample their signature Red Velvet, Sweet Cake, and Dark Chocolate, as well as some cheerful new Spring flavors!